The SilverStone media center allows you to customize it to your preferred functions. My home entertainment center is looking a bit cluttered. It’s somewhat of a sore spot with me when company comes to visit; I feel like I have to make an excuse for all the black boxes on display for every function imaginable, from DVD player to media storage. But the conversation piece actually led to a solution, thanks to a friend who happens to be up on the latest technology. He introduced me to media player/home theater PC cases. Now, my home media center looks neat and compact. If you like tinkering with electronics, then the next generation of TV media centers is for you. Known as backbone devices, they allow you to build your own media box to your specifications based on your needs. So if you want a TV media player that’s heavy on playing your video files, you can add in the necessary components. Or if you want a media center that serves as a mini-PC, media storage device and media player, you can build that, instead. If you’re like me and not accustomed to building your own electronics, there are home theater PC (HTPC) cases that are geared towards beginners. Among the entry-level cases is the SilverStone Milo Series ML03. It can be easily outfitted into a media center PC by those with very little knowledge about how computers work. It’s worth a try building your own media center and designing it for what you need it for, rather than buying an already built one designed according to the functionality the manufacturer wanted to put into the device. The SilverStone aluminum/steel micro ATX media center/HTPC case ML03 already includes all the internal cables you need to connect to the motherboard you install and other components you choose to add. Some necessities you need to purchase separately, or use from other computers or electronics no longer in use are a power supply, hard drive, optical drive, expansion cards, such as those for graphics or HDTV tuner, and a fan for keeping the components cool when in operation. 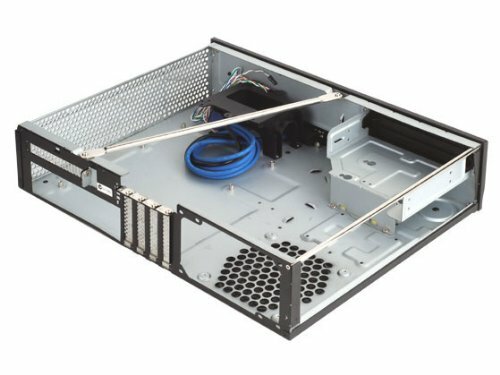 When thinking about how you want to use the enclosure – whether as a media player, complete home theater entertainment center, a PC, or all three – it’s important to know just what the SilverStone HTPC enclosure can accommodate. Unlike other barebone cases, this one can fit up to three, 3.5-inch hard drives or five, 2.5-inch HDD/SSDs, so there’s a lot of functionality available. As we all know, cooling is important with any electronic, and I like that the SilverStone ML03 gives you a couple of options. If you want an energy-efficient system that runs quietly, the enclosure fits up to four fans. Just be sure each fan is 80mm or smaller. If you’re building an HTPC system, you’ll need a more powerful cooling fan. The ML03 accommodates a 140W CPU. I also appreciated the little touches that SilverStone added to its Milo ML03 HTPC enclosure, including pre-cut holes that make installing a VGA connector much easier. If you want to use the SilverStone micro ATX as a media player, you’ll need to outfit it accordingly before using it. SilverStone provides a good online manual (http://www.silverstonetek.com.tw/downloads/Manual/case/Multi-ML03-Manual.pdf) to help with initial installation requirements. The directions are perfect for those unfamiliar with working with electronic or computer components. To get started customizing your very own TV media player or home entertainment PC, simply unscrew the screws from the rear of the chassis and lift off the top cover. This will give you access to the interior of the case where you can insert components into the corresponding bays. You can also remove the center brace and hard drive bracket simply by unscrewing the applicable screws. The first thing to install in the media box is the power supply, which can be mounted in two different orientations. Next, insert the I/O shield included with the motherboard you are installing and then put in the motherboard. At this point, you’re ready to route and attach the cables to the motherboard, fan, power supply, CPU ATX/EPS, front panel connectors and front I/O connectors as you install them. Your hard drive(s) is ready to go in next. Don’t worry if the screws on the hard drive bracket don’t feel tightly fastened. The hard drive cage is designed to reduce vibration so the screws won’t completely fasten. Once all the hard drives you plan on installing are in, you can remove the drive bay cover and install the optical drive and connect its cables. Return the center bracket to the case for structural reinforcement, affix the top cover and you’re ready to use your TV media player/HTPC for whatever functions you built it for. The Milo ML03 TV media center and HTPC case is manufactured by SilverStone Technology Company, a global designer and producer of computer and home entertainment products, including computer enclosures, power supplies and various accessories. The slim frame measures 20x17x17 and weighs 10 pounds. The SST-ML03 model has an aluminum skin reinforced plastic front panel and a 0.8mm SECC body. The interior accommodates a Micro-ATX, DTX, or Mini-ITX motherboard. The external 5.25-inch drive bay is compatible for one 3.5-inch HDD or two 2.5-inch HDD/SSDs. The two 3.5-inch internal drive bays are compatible with one 2.5-inch HHD each. 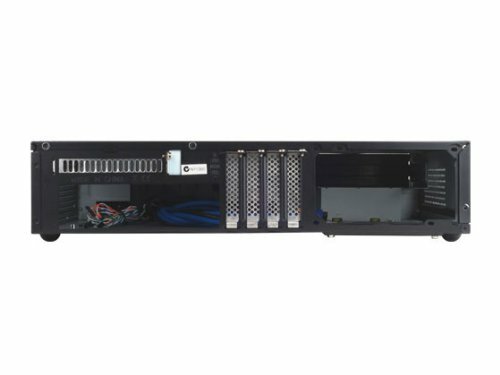 An expansion slot accommodates four low profile and one utility. There’s also an extra, full-size expansion slot for installing a second motherboard, fan controller, or other accessories. On the front of the box are two USB 3.0 ports, backwards compatible with USB 2.0. There is also the power switch, and audio and MIC ports. The power supply is the standard PS2 (ATX), the most popular PSU form factor. For a cooling system, the device has four fan slots on the right side to hold up to 800mm fans and hard drive vents on the left side. The top of the unit features oversized CPU vents. The SilverStone ML03 might have been designed small to fit nicely in any home setting, but the interior space is maximized to provide some powerful functions. Think about using the media player to store all your video, music and photo files in one place so you can play them on your TV screen. Or consider using it for live media streaming to replace your cable box, or as an additional personal computer. One of the selling features of the SilverStone ATX media center and HTPC case is that it can hold three, 3.5-inch hard drives or five, 2.5-inch HDD/SSDs. This gives you a lot of options in turning this chassis into a multi-use computer and media center. Furthermore, the drive bay cages have multi-purpose mounts so no adapters are needed. Another top feature is the ease in building a home theater PC. Simply install a motherboard, CPU, RAM, hard drives, power supply and optical drive for the performance you want. I found it convenient that I could purchase these components straight from the SilverStone website. What’s also nice is that you can upgrade the interior components at any time without having to buy the exterior framework. I found it rather easy to build a home theater PC using the SilverStone ML03 HTPC case. More importantly, being budget conscious, I also found it rather inexpensive to build the media center I wanted. Even factoring in the components I needed to buy, the end cost was cheaper than if I bought a TV media player already built. Five bunch wire ties for securing tie wire. It’s worth your while to do a price comparison for this item. The list price for the SilverStone Micro ATX Media Center/HTPC Case is $70.00. However, Amazon.com is selling it for $59.99, a savings of $10.01, plus free shipping is included. You also might catch a sale that could offer an even better buy. I’ve seen sale prices as low as $43.99, but shipping is not included. 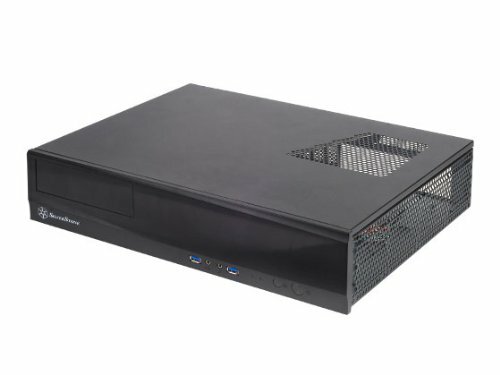 There are a lot of good comments about the SilverStone TV media player from users who have completed their build of the HTPC case and are using it for numerous functions, such as a home entertainment center or a PC. Many like the price and the size and look of the box, while others appreciate the ease of use of the entry-level model and its expansion capabilities. Here’s a snippet of customer reviews found on Amazon.com (http://www.amazon.com/gp/product/B004GGUAUE). Where Can I Buy the TV Media Player? 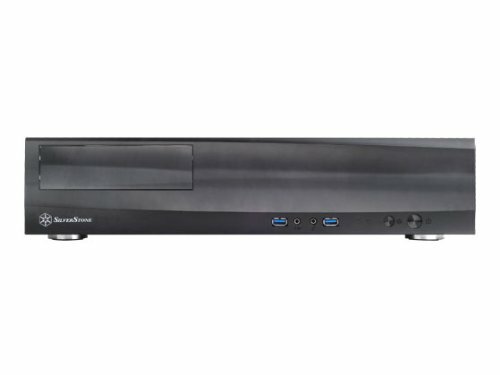 According to the “Where to Buy” navigation button on the SilverStone website (http://www.silverstonetek.com/product.php?pid=283), this media player/HTPC is available worldwide. Amazon.com is one of its online sellers, as are other computer and electronics retailers and online stores, such as Circuit City, Newegg.com, TigerDirect.com, DigitalConnection and 2CoolTek, just to name a few. However, besides comparing price at online retailers, be sure to compare shipping costs and return policies. So far, I haven’t found too many online stores that can beat the free shipping policy and customer-friendly return policy offered by Amazon. Several brick-and-mortar retailers also carry the SilverStone ML03, among them CompUSA, Computer Sonics, Central Computers, Micro Center and Compusave. Where Can I Read More Reviews for the TV Media Player? I highly recommend reading the reviews on Amazon.com because not only do they provide a thorough list of pros and cons for the media player/HTPC case, they also give you build ideas. The majority of customer reviews list the components they installed in the casing, which are great to use as a guide. The Amazon reviews also give ideas on the many ways the SilverStone micro ATX media center and/or HTPC case can be used. The SilverStone website also offers a product reviews section for the Milo media center/HTPC, however there were no reviews submitted at the time of this writing. Additional review sources include the online stores that sell the Silverstone Milo ML03 HTPC case, however there are not as many reviews as those on Amazon and the comments are rather brief compared to the extensive reviews offered by Amazon customers. You might also want to search for related forums or message boards for specific reviews on the SilverStone Milo series media center.